Peachtree Publishing Company, 9781561455379, 1pp. A boy without a dog--and a dog without an owner--find each other in this powerfully moving story of loneliness and redemption. Day after day, Cody watches Bones roam the streets. No one else thinks the old stray is special, but Cody does. He knows the dog is alone now. He watched them tear down the blue house where Bones used to live with an old man. Cody knows how it feels to lose someone, too. Slowly--cautiously--Cody opens his home and his heart to the scruffy dog with one blue eye and one brown. 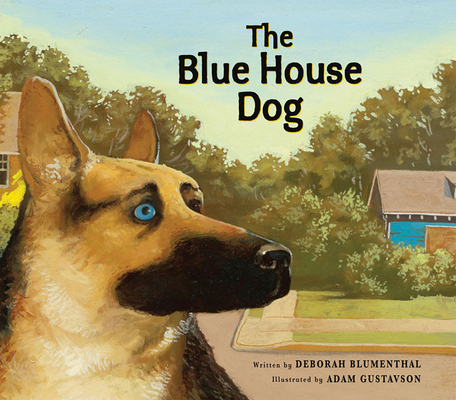 Inspired by the true story reported in the New York Times about a homeless dog in a suburban New York neighborhood, readers will be deeply affected by Deborah Blumenthal's story of love and loss. Adam Gustavson's full-color illustrations beautifully depict quiet neighborhood life, and highlight the emerging relationship between the narrator and the lonely, dispirited dog that captures his attention, and finally, his heart.